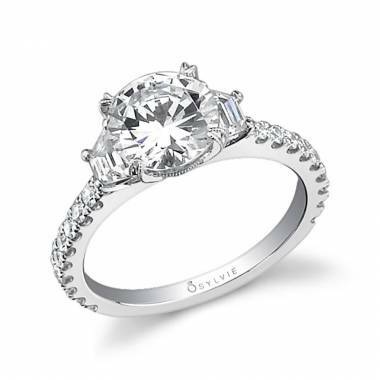 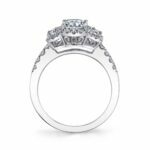 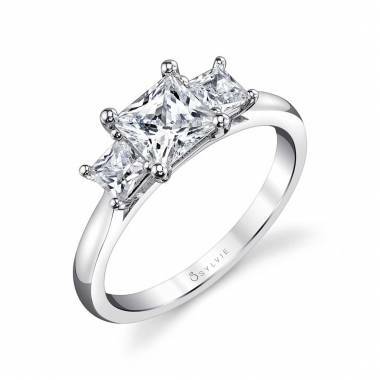 This elegant and classic three-stone oval halo engagement ring features a stunning oval diamond center inside a halo of shimmering pave diamonds. 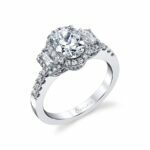 On each side, a sparkling baguette diamond, also nestled in a halo of diamonds, gracefully accents the center stone, and a trail of more diamonds line the white gold shank. 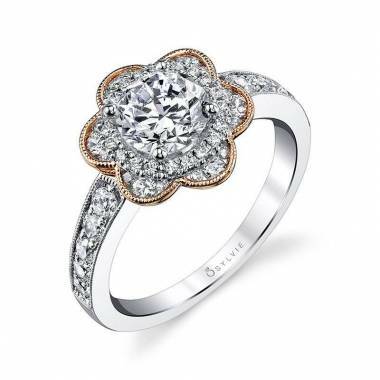 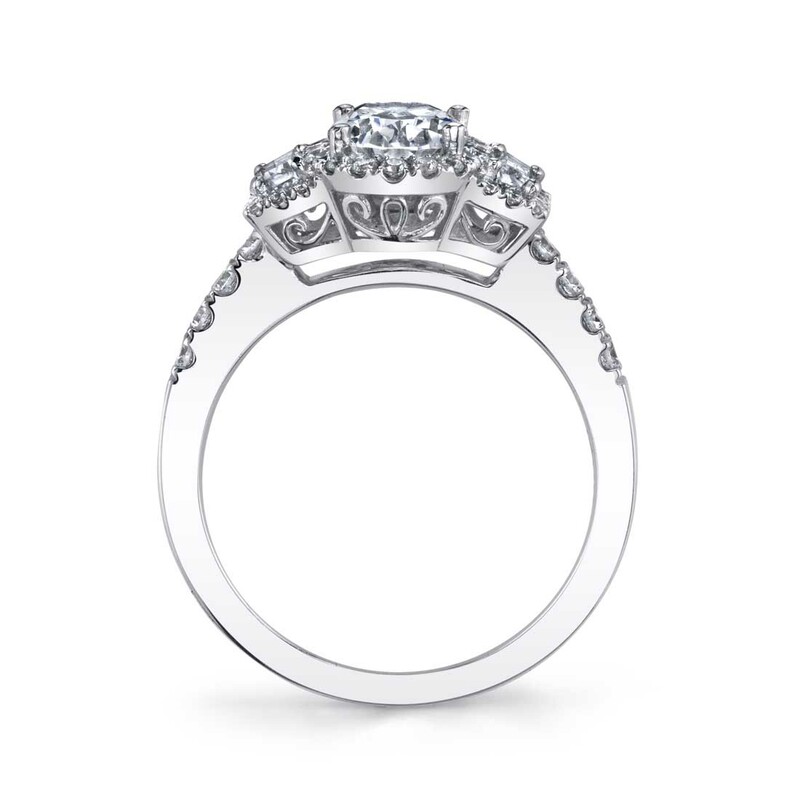 The total weight of the awe-inspiring ring is 0.69 carats.